We’re grateful to Susan Gallagher of Brigantine, New Jersey for submitting these wine-tastic zucchini boats. They’re fun to make and 100% delicious to eat. Plus, they’re a terrific vehicle for nutrient-packed veggies. Whip up this dish for a tasty appetizer or entrée—it will definitely float your boat (pun intended). Preheat oven at 350°. Slice zucchini in half lengthwise, scoop out insides, and shred or chop. To make zucchini boat filling, liberally coat a skillet with oil spray and warm over medium heat. Add insides of zucchini carrots, onion, garlic, kale, corn, broccoli, sausage and wine. Cook until wine evaporates, occasionally stirring (approximately 14 minutes on medium to high heat). Line baking sheet with foil. 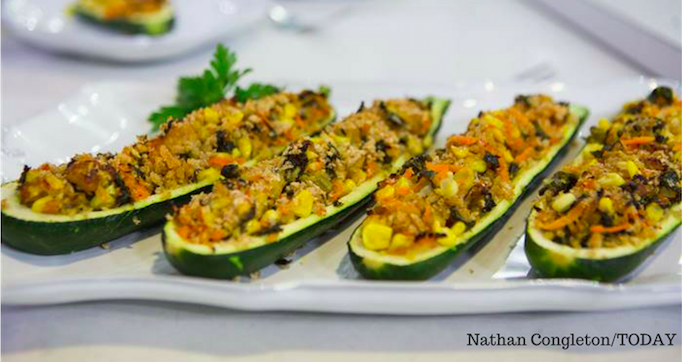 Place shelled zucchini boats onto baking sheet and fill boats with filling. Top boats evenly with whole grain panko breadcrumbs and drizzle on melted butter in zig zags over each zucchini top (to cover as much as surface area as possible) Bake for 45-55 minutes, or until zucchini boats are soft and tops are brown. Keep a close eye starting at 45 minutes so they don’t burn. 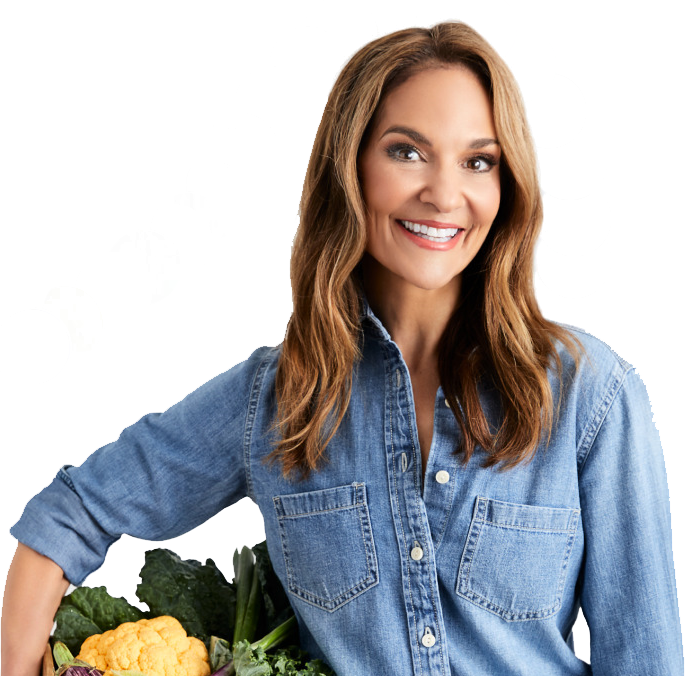 For more delicious zucchini recipes, try my Zucchini Walnut Muffins and Shakshuka with Zucchini Noodles!